Imphal a small town tucked away amidst the beauty of nature is also the capital of Manipur. The town came into the light during the Second World War when the Japanese waged war over this place. Although the war scorched this region, the people here went out of their way to restore it to its previous glory and thus Imphal rose like a phoenix from the ashes. The rejuvenating weekend getaways around Imphal provide the perfect escape from the hustle and bustle of the city. For some, it could be never getting off the hammock, and for others it maybe long drives and stunning landscapes. So pick a place, fill up the tank and hit the road to these must-do weekend breaks around Imphal. Click Here to avail 50% OFF on Flight Bookings. Thoubal is the district headquarters of Manipur. Most of the important areas of the town are located on the banks of the Thoubal River, one of the two rivers flowing through the district. Located amidst hills and hillocks, the town has its own distinctive beauty. There are several must see places to visit in Thoubal such as Panthoibee and Chinga Lairenbhi temples, Tomjing Ching and the Manipur Sahitya Samiti. There are many open spaces in the outskirts of the town which are ideal for picnics and day-long outings. Trekking and hiking are also popular activity here. There are numerous lakes and rivers in the region too, making the district ideal for outdoor activities. The town also has several market areas where shopping is quite a pleasure. From souvenirs to handicraft and handloom products these bazaars sell it all. One of the most scenic places in North East India is the valley town of Kohima, the capital of Nagaland. This untouched and unexplored place excites tourists to come here and roam the region. Largely inhabited by the Angami tribe, this town also has people of other ethnicities living here. There is much to see and explore in this town as not much has been seen of this place. Tourists who come feel a sense of adventure as they look forward to the surprises the tour here holds for them. 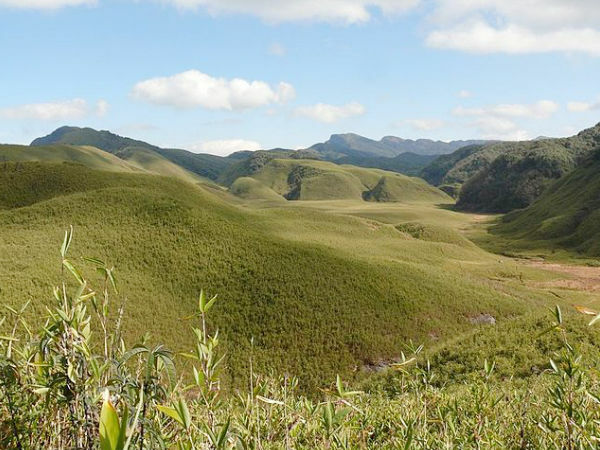 Tamenglong is one of the lesser known escapades in Manipur that is surrounded by hills. The region is home to a variety of Orchids, dense forests and wildlife. It is a perfect getaway from the madness of the city. Tourists come here to relax and rejuvenate themselves in the arms of nature. There is not much you can do here, but the beauty of this place itself attracts tourists in large numbers. The beautiful lakes, the glimmering river, the wide open spaces make it feel like you are in a wonderful dream. Dimapur the gateway to Nagaland was once a flourishing kingdom of the Kachari dynasty. The non-aryan people ruled this land for quite a long time and today Dimapur is filled with the ruins of their dynasty. Another significant feature about Dimapur is that it has a river that flows through the city. Tourists coming here can take a stroll along its banks or also take a boat ride. There is not much to see here, but being close to nature the city has acquired a unique charm. Some of the places to visit in Dimapur include its ancient ruins, the zoo, the handicrafts village and more. Here is a travel guide to the places you can see in Dimapur. You should keep in mind that there is much more to be explored here. So go ahead and have an amazing holiday in Dimapur. Wokha, a district headquarters in Nagaland, is inhabited by the Lothas, one of the largest tribes in Nagaland. For the most part of history, this place remained isolated from the outer world. Wokha is surrounded by several hills and ridges which make it scenic hotspot of tourism. It is surrounded by Mokokchung district on its north, Zunheboto in the east and Assam in the west. The town is known for its shawls, which are handmade using a technique which has been passed down through generations. Some of the tourist spots in Wokha include Mount Tiyi, Totsu Cliff and the Doyang River. It is important to note that Indian citizens are required to obtain an Inner Line Permit to enter the State of Nagaland. It is a simple travel document which can be obtained from Nagaland House in New Delhi, Kolkata, Guwahati or Shillong. Tourists can also apply for this permit to the Deputy Commissioner of Dimapur, Kohima and Mokokchung. Jorhat is one of the important cities of Assam and its strategic location in the northern part of the state makes it a gateway to Upper Assam and the state of Nagaland. The word Jorhat is derived from words 'jor' meaning two and 'hat' meaning market. In the 18th century, two weekly markets were the highlight of this area - the Chowkihat and Macharhat that were located on either side of the Bhagdoi River. Jorhat also holds the prestigious distinction of being the last capital of the Ahom kings. Thus, there are many historical relics in the city that connect to the rich Ahom rule days.